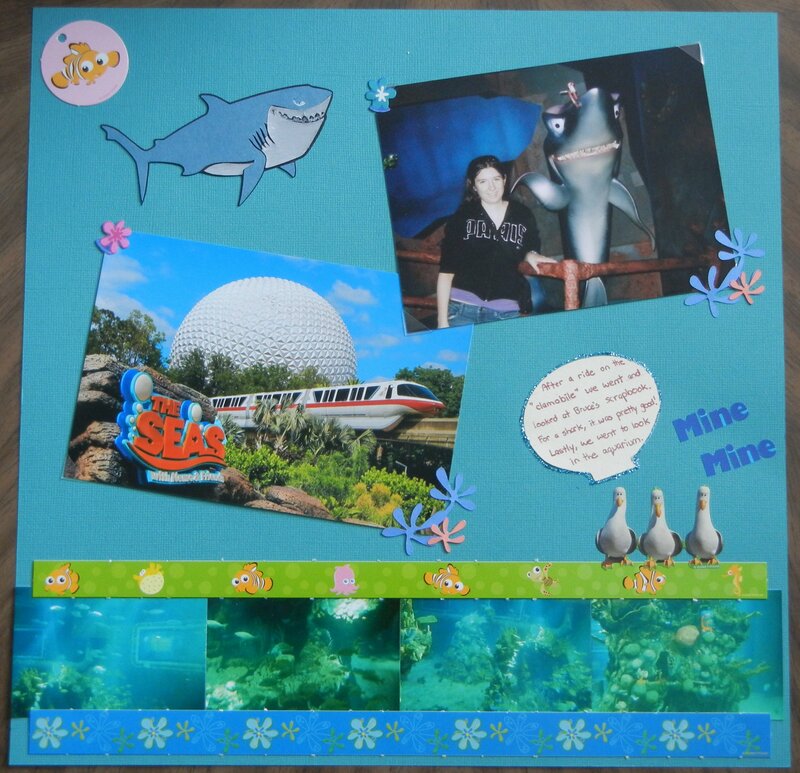 Journalling: "After a ride on the "clammobile" we went and looked at Bruce's scrapbook. For a shark, it was pretty good! Lastly, we went to look in the aquarium." Bruce the shark was cut with the Disney Best of Pixar Cricut cartridge. The borders and the seagull sticker are from a paper pack I bought at Disney World.